It's never to early for pumpkin season. 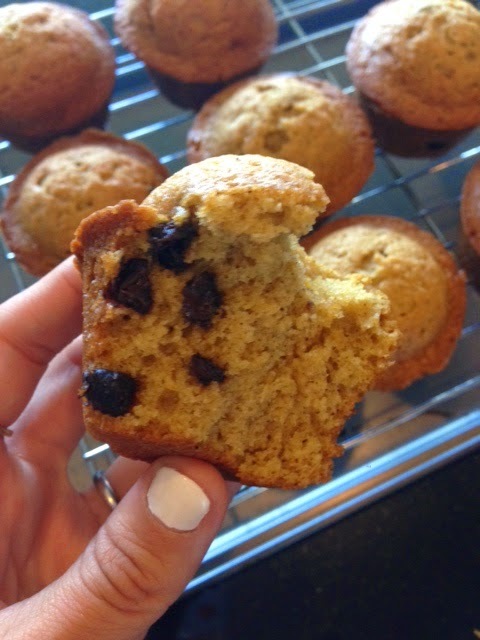 These delicious spiced muffins are the perfect way to welcome in fall! Preheat your oven to 350 degrees. 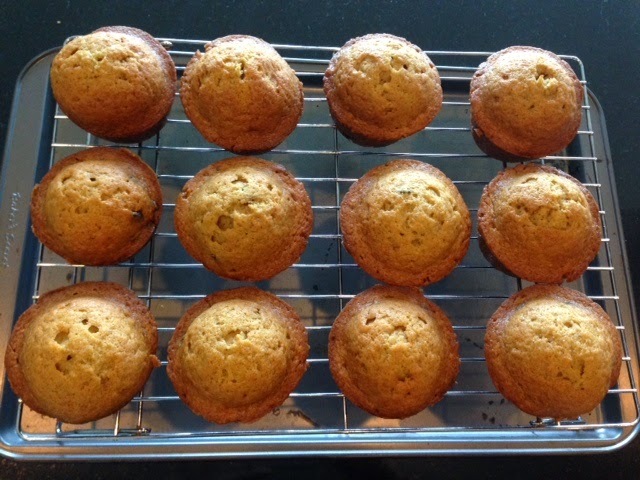 Spray a cupcake pan with nonstick. 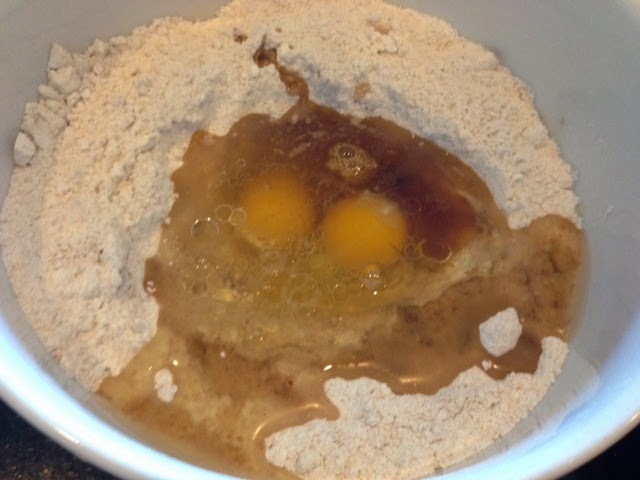 Make a well in the middle, and add all wet ingredients. 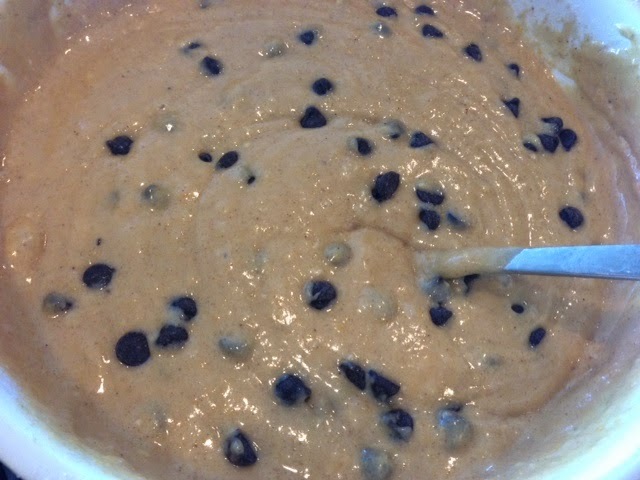 Stir until combined, then pour in chocolate chips. Using a 1/2 cup measure, pour batter into cups.